There are so few memories left after 40 years. Just feelings, scents and flashbacks, mostly in my dreams. The absence of Mum and Dad in my life has left many scars. They’ve been dead for many years now, and I’ve only recently allowed myself to let all the feelings out of the Pandora’s box that I have been carrying. Now it feels like the tears will never end. I write and write, trying to heal myself by getting it all out in the open, to release the steam that has built up inside that I didn’t even know about before I started. It’s a rewarding but painful process. Which is worse? To have messed-up feelings, or to not feel anything at all? If I feel, then it hurts like hell and I want to scream. If I don’t feel then I just want to sleep and forget. So tell me, World, how am I supposed to cope with my life if I am not allowed to grieve? It will probably take me a lifetime, but give me the same respect that others get when they’ve lost someone close and dear. Why doesn’t the world look at me in the same way? I have also lost someone dear to me. I lost my mother and father when I needed them the most. 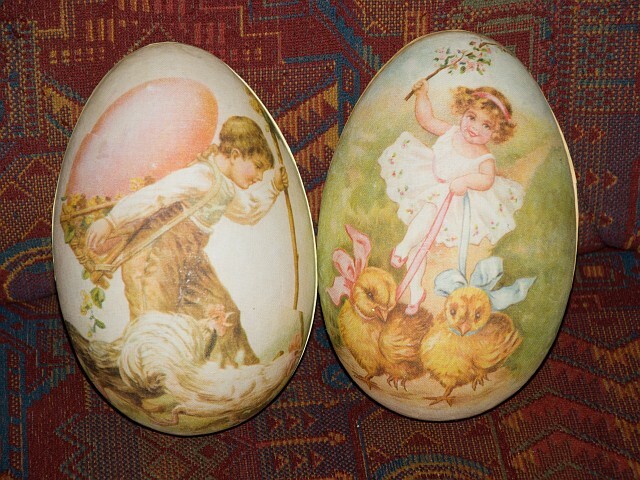 I was less than a year old when they vanished from my life forever. I’m telling you, World, that unless you try to walk in my shoes, you will not understand how it feels to be told to ‘just get over it!’ The faces of Mom and Dad, and their love for me, is gone, and all that remains is just an empty echo in my heart. I was not abandoned then, but now I am truly abandoned and lonely. Only two shadows remains in me: my last memory of my mother who died very young, and my father who loved his children; me also, even though he had to give me up for a while. He didn’t abandon me; he came back for me one day in 1970 to take me home from the children’s home. Only then did he learn that I was gone, and spent many years searching for me in vain before he died. So thank you, World, for your understanding. Rest in Peace, my beloved Umma (Mum) and Appa (Dad). You died only 33 and 42 years old, much to early. I miss you both, with all of my heart. I think of you every day, and it hurts so much. May all of your love for me linger and give me some comfort the day I sit by your grave in Korea. May I be able to gather the strength to find the peace which I have waited and searched for all of my life. And maybe then I will be ready to GET OVER IT! Brown eyes stare at Mother for the first time. A whole life in front of her, but she only gets a short time with Mother; suddenly Mother dies, and she is taken away for ever. She cries when she is brought to the orphanage. She can’t yet tell the world she is in shock, longing and grieving after Mother. Mother is nowhere to be seen, smelled or heard. She is terrified. She cries and cries, but soon learns that no one will come to comfort her. Time is ticking … minutes, hours, days, weeks and months pass at the orphanage. She lies very still, frightened, lonely, shocked and apathetic. She is hungry, cold, sick and very sad. Wet with her own vomit and a full diaper, her behind so sore, but it’s a long wait before someone finally comes to pick her up and change her. There is no love at the orphanage: the workers are paid to be there a few hectic hours a day, so each baby gets very little human contact. They’ve become numbers, arranged in beds, a burden to the employees, a burden to society, and later in life she even becomes a burden to her adoptive parents. In an environment like this, she is lucky to survive even the first months of her life. One day her view changes. The empty, white walls are gone, as are all the other babies. She is brought to a hospital, and after that she finds herself in a foster home. Traumatized, the little child is trying to cope with the sudden changes, adapt to her new environment. Her feelings, the abillity to walk, talk, stand up or trust people is messed up. She is slow compared to other children because of illness, due to malnutrition and negligence, and her poor start in life. All her energy is consumed in a fight for survival. So once again she is a package, this time on a long journey. She is insecure, frightened, a very quiet and lonely little girl, her emotional baggage full of trauma, and apparently no end to her misery. She arrives at her destination, only to receive a childhood full of even more hardships. Years pass. Now that the little girl is grown up she takes one day at the time. She can’t stand stress, or having to live up to the expectations of others. She prefers simple ways and little things, loves animals and flowers, books, music and movies, and the times when she can just relax and not feel that she has to be or do things she can’t handle anymore. The girl who always felt she had to manage everything in her life is very tired. Her batteries empty, exhausted in body and spirit. I had to endure so much so early in life, and my heart is longing for better times with peace and quiet and happiness. My inner child shivers when she thinks of the hard times, the moments when she had to be strong and didn’t even know that there was a way out of that deep pit. I regret now that I wasn’t braver then, wish that I’d had the courage to just cry out. If I had dared to tell others how bad things were, maybe the welfare system in Norway would have helped me. The abuse from childhood has left many scars on the soul. She is still here, that little silhouetto of a girl who blew lots of dandelion seeds into a meadow and wished that she could be loved and happy like everybody else. As a Korean adoptee in Norway, I’m special. Anyone who looks at me can see that I am Asian; black hair, brown skin, brown eyes. I’m different from everybody here, I am special because I have a story no one else has, because I have a life-long grief in my heart, and yet the word special is supposed to be nice. 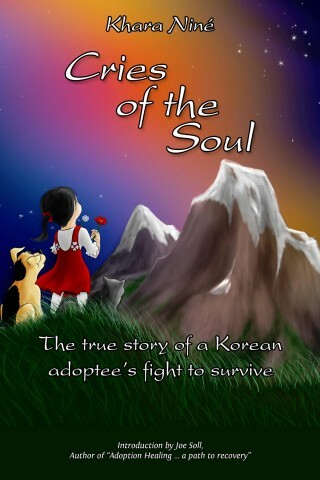 I was chosen by my adoptive parents from a number of other Korean children. Although I didn’t know it, from the age of 7 months until I was two years old I was in a competition. Finally I won, and they prepared me for the biggest task of my life. I was moved from the orphanage to a foster home somewhere else, to stay a while until I was ready to leave behind everything and everyone that I knew, without my family knowing that I would never see them again. And then I was given a one way ticket to leave Korea for good. I was truly the chosen one. I was lucky to leave it all behind me; my family, culture, country, heritage, my mother tongue, the food I was used to. To leave my past and what memories I had, to make room for all the wonderful new things that were to come into my life. And because I was so lucky, everyone expected me to be most grateful for it all. Lucky to get a new home with an abusive childhood. Because I was so lucky, today I struggle with deep psychological and emotional issues. For me, those three words are just enormous lies. Special! Chosen! Lucky! They are evil words, and I hate them! Why do adoptive parents use them to lie to us? We are human beings with feelings, and we carry emotional baggage filled with sorrow and grief. We adoptees would be special, chosen and lucky if we could have the same human rights as others. If we could be cradled in our real mother’s arms, and not be ripped out of our lives and placed in someone else’s, suffering serious mental traumas in the process. We would be chosen ones if we could stay where we are really loved, despite how difficult life might be there and then. Adoption is a permanent solution to a temporary problem, and it’s really evil. When will the world see that adoption is not beautiful? How could it be? The reality of it is simple: You buy a baby at the cost of other people’s grief. Somewhere there is a mother who mourns her lost child for the rest of her life, while a lonely little child is crying for her real mother. Do you get it, World? Now is the time to throw away the old thoughts about adoption, that it is such a beautiful thing, because it is not. I’m grateful to all the people who work actively against the big, greedy adoption markets in the world. And I thank all of you who follow my blog. You will know by now that I am totally against adoption. There are so many of us who suffer, so many of us who, every day of our lives, pay the price for being special, chosen and lucky. Those words make me sick, and I hereby banish them, SPECIAL, CHOSEN and LUCKY, for all time. Thanks to one person who really opened my eyes to those three words. Today I have one of my lazy days. I let my mind go blank and sit on the sofa with my computer in my lap. I surf on the Internet, visit my regular web sites and push the usual thumbs-up on comments that I like. I have my tea at my side, my Easter egg filled with candy and chocolate, and I am trying to get my little grey cells started. That’s not an easy task when they have already been switched off for the holiday. I look out the window and wonder where all my younger years went. Those days when I could feel spring tickling through all of my body because something nice was about to happen. I would take my bicycle and go to visit an old friend. He was my Godfather, and lived not very far from me. He was always very kind to me, and taught me to appreciate the little things in life, such as a nice bonfire in the evening, and the importance of drinking hot chocolate and eat buns, ice cream or even a simple warm bowl of soup, all parts of enjoying life at its simplest and best. He’d tell me about his younger days, how he would catch fish of all shapes and sizes, and how to grow flowers and berries, herbs and vegetables, and he even grew his own potatoes and carrots. In autumn he would make his favourite food: pickled herring, with onions and lots of spices, all placed in lots of little glass jars, and I would get a few to bring home with me. I’ve always loved bread with pickled herring, and they come in all kinds of flavours: onion, mustard, tomato and garlic, to mention just a few. It’s like a local version of sushi, and it is an old traditional part of Norwegian Cuisine. My old friend always had time for me. He would cheer me up if I was down, and I never went home sad after a visit. He once gave me a small flower, and told me that I had to plant it in the garden and give it lots of love and water, so that one day it might grow to be even taller than me, and that the seeds that grew on this flower would be food for the birds in winter. He looked me in the eye and said that one day I would be as tall and beautiful as that flower. And it did grow into a tall, yellow and beautiful sunflower. I don’t remember the exact height, but it must have been close to two metres, and I remember feeling proud as I watched it grow. After this, I have always loved to work with the soil and make plants and flowers grow. And he was right: although some days are really rough, my life has become better. He gave me such a precious gift, love and attention, kind words and support, he shared his life’s wisdom with me, and took the time to really see me as I am. These are things that I carry forever with me in my heart. There is one special, dear memory. A few years ago I came to visit, and I found him by the sea, fishing. I was sad, crying, but he smiled at me in that way which always managed to stop my tears, gave me his fishing rod, and gently told me to hush and be quiet, or the rod would lose its luck and then it might not catch any more fish. And I would have to take good care of it, and take it out and go fishing once in a while. I still keep the fishing rod, and from time to time I bring it with me to the sea. Easter is a time to think, and therefore I write these words in the memory of my old godfather who passed away a few years ago. I visit his grave from time to time and I really wish that he has found everlasting peace. In my heart you were were my uncle and my friend, a father figure, teacher, gardener and fisherman. Some people leave a piece of themselves in your heart while you journey through life. A piece of you will forever be in mine, and only happy tears will fall when I think of you. A lifetime of sadness, everyday issues, everyday decisions which make it difficult to be me. The days when I am really happy are so few compared to the days when I really struggle. I am constantly insecure about things: Did I make the right decisions? Or did I do the right things in certain situations? Recently I wrote a letter to my dentist explaining what I think are the reasons for my fear of dentist. I told him some of my old history, and I am sure I am right about this one: My fear of letting go of control or let my guard down in the dentist chair manifests itself as an overwhelming, irrational sense of claustrophobia. It comes from my subconscious reminding me of my Appa (father) going away forever, me screaming and not being able to run after him (I could not control it since I could not even walk when I was a year old). Me going in and out of hospital, receiving several vaccination shots and other unpleasant medical treatment, being all alone among people I did not know. Or me being moved into a fostercare for a while, to live among people completly unknown to me. I must have been terrified and in deep shock. Even the memory of the weight of my mother’s arm pressing me down when she was lying dead at my side. And once again being among complete strangers on my journey to Norway. Not having any control whatsoever, my life was changing more and more into a nightmare. And finally I arrived in this country and found myself once again and for the rest of my life among strangers. I have survived several traumatic experiences in my life, at what cost? What the dentist sees is a “difficult patient”, and I felt it was important that I let him know why. I sometimes feel so lonely that my heart could cry a river, and so stupid because I can’t control situations I’m in. It depends on how my mood is or how physically strong I feel on those particular days. My experience from childhood had me turn out a very insecure and (I’ve been told) difficult person to get to know. I can seem to be very quiet and unsociable among strangers, which is a trait that I’ve inherited from my real mother. Only among friends can I be fully myself, the person I want to be, relaxed and open-hearted. I have never been a party person, nor have I ever desired to be the center of attention. So in a way its a huge step for me to write down my feelings here in this blog. Going to the doctor just makes me frustrated, and talking to a therapist is worse. Why can’t the mental services in this country see that my issues are great wounds that will never heal? I have an indescribable grief which I was never allowed to express or even cry for. I WAS NOT ALLOWED TO GRIEVE THE LOSS OF MY REAL PARENTS, because my adoptive parents did not like me to speak or even think of Korea. Even though it was easy for me to see that I didn’t look like them at all, I was forced to suppress my feelings. I was supposed to be grateful that they had saved me, a poor girl whom no one would adopt, exept them of course. Now I know that although I was a very tiny, poor, sick girl, all alone in the world, I was not totally abandoned. My Appa did come back for me one day, but we never met again. So today society expects me to get a hold of myself, to move on and follow the masses, to be successful and happy. How can I? The world ripped away the ground from under my feet. The authorities in Norway and Korea took everything I had. I was erased from Korea and signed into Norway through a web of lies. And they expect me to be grateful for this mess? My name, my culture, my birthdate, my Umma and Appa, my confidence, my zest for life, my siblings in Korea, my relatives and of course my korean language are all gone. The ship has sailed with any chance for me to reunite with my family and live in Korea, and my chances to fully recover these adoption losses are gone. Lately I’ve been lucky enough to get in touch with someone abroad, a psychotherapist who has studied and works with adoptions issues, who has really helped me. He was so kind to write a letter which will hopefully make it much easier for me to get help, that will make them realize that I really do have PTSD (post traumatic stress disorder), and that this diagnose is for life: it doesn’t have an expiration date of 15 years. It seems that here in Norway no-one knows anything about adoption issues and adoptees’ struggles. We are told that this is not a problem, we were too young to be still affected by what happened to us then, and that babies do not remember. That we should just go on with our lives. That it happened so long ago, that we’re only acting out or we’re really stupid to believe that any of our early traumatic experiences could mean so much later in life. I wish ordinary people could experience what it’s like to not get help or not get any respect when some of their loved ones die. Then they would hopefully understand, and give us opportunity to heal, allow us to cry and grieve even if it takes a lifetime. Adoptees have suffered many traumas and obstacles. Please respect the fact that we are grieving over our lost parents even if we dont remember them. Deep down in our hearts they are not forgotten, and they are as treasured and missed to us, as anyone else who loses their mother or father. So please, please don’t give us a hard time. We are in mourning all of our lives. Have patience with us, and please try to understand this. It would mean a world of difference to us, to me. This is my prayer to the world. May it listen to all of us who suffer so much all of our lives.